20 years of telling stories not told elsewhere: Here’s a work I don’t ‘like.’ Which doesn’t mean it’s bad. From the exhibition Judson Dance Theater: The Work is Never Done, running at the Museum of Modern Art through February 3: Simone Forti, “See Saw,” 1960. Performed at Reuben Gallery, New York, December 16–18, 1960. Performers: Yvonne Rainer and Robert Morris. (Rainer and Morris also worked on the piece in Yoko Ono’s Chambers Street Loft Series.) Photo courtesy Robert R. McElroy photographs of Happenings and early performance art, the Getty Research Institute, Los Angeles (2014.M.7). Haven’t yet subscribed to the DI? This week you’re missing Parker Herren’s Flash Review of Charles Atlas Presents: The Kitchen Follies, with performances by Dancenoise, Jodi Melnick, and others, and the accompanying retrospective of Atlas’s video work recently presented at the New York theater. This week subscribers also receive, exclusively by e-mail, from the DI’s Archive of more than 2,000 reviews of performances on five continents by more than 150 writers, Angela Jones’s 2004 Flash of Margie Gillis performing at the Joyce Theater, which begins: “Margie Gillis is the reason I dance and choreograph.” And, from the same year, Chris Dohse’s Flash of Tere O’Connor’s “Frozen Mommy,” which, Chris writes, “burns into the mind’s retina like an 8-millimeter film with embarrassing footage from your childhood that sticks in the projector and melts against its bulb, blistering the image to smithereens.” To subscribe to the DI and access both new content and stories from our 20-year archive, for just $39.95/year individuals (students: $19.95 with university ID) or $49.95 institutions, just designate your PayPal payment in that amount to paulbenitzak@gmail.com, or write us at that address to find out about payment by check or in Euros. (In the latter case, the payments will be directed to our European correspondents.) You can also contact us at that address to find out about limited, well-integrated e-mail and Web site advertising and sponsor options. The Dance Insider is sponsored by Freespace Dance (top) and Slippery Rock University Dance (above). Founded in 1998 by a collective of professional dance artists and journalists to build the dance audience, tell stories not told elsewhere, and give a voice to dancers, the DI is celebrating its 20th anniversary. See below for information on accessing our archive of 2,000 reviews of performances and art from around the world by 150 leading dance critics. NEW YORK — So Deborah Hay’s “O, O,” January 26: in this version a showcase for five downtown dance veterans (Jeanine Durning, Neil Greenberg, Miguel Gutierrez, Juliette Mapp, and Vicky Schick). These bodies are as comfortable inside Danspace Project at St. Mark’s Church as five old socks in an old shoe. As we enter, cell phones trill, powering down; we’re not particularly paying attention and the dancers enter consecutively, taking the space to perform subtle gestures. They are immediately, and as it turns out, irrevocably, embodiments of a sort of politesse, a sort of Stoicism. They impassively ignore us, even though their gaze includes us, as if they’re well-trained figure models. To receive the complete article, first published on February 17, 2006, subscribers please contact publisher Paul Ben-Itzak at paulbenitzak@gmail.com. Not a subscriber? 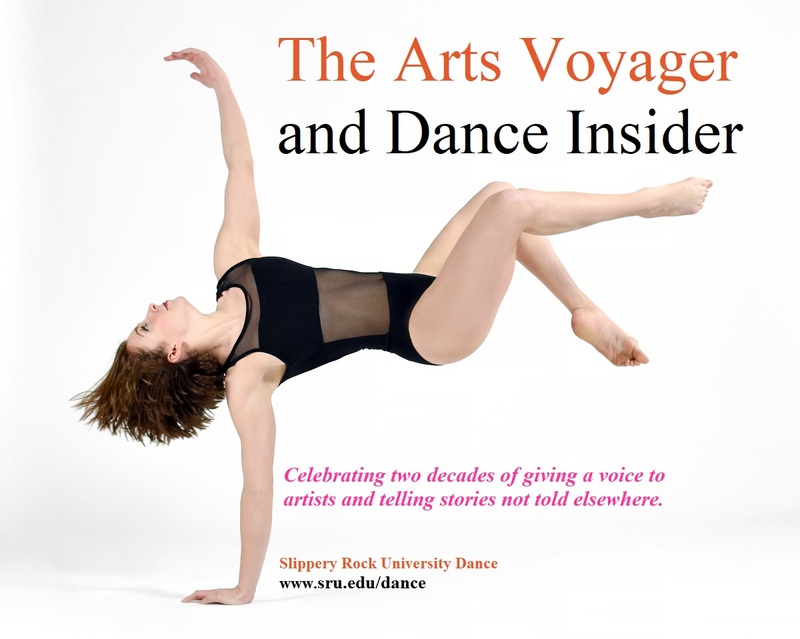 Subscribe to the Dance Insider & Arts Voyager for just $29.95/year ($99 for institutions gets full access for all your teachers, students, dance company members, etc.) by designating your PayPal payment in that amount to paulbenitzak@gmail.com, or write us at that address to learn how to pay by check. Subscribers receive full access to the DI/AV Archive of 2,000 exclusive reviews by 150 leading critics of performances and art on five continents from 1998 through 2015. You can also purchase a complete copy of the Archives for just $49 (individuals) or $109 (institutions) Contact Paul at paulbenitzak@gmail.com. Sign up by April 20 and receive a FREE Home page photo ad.